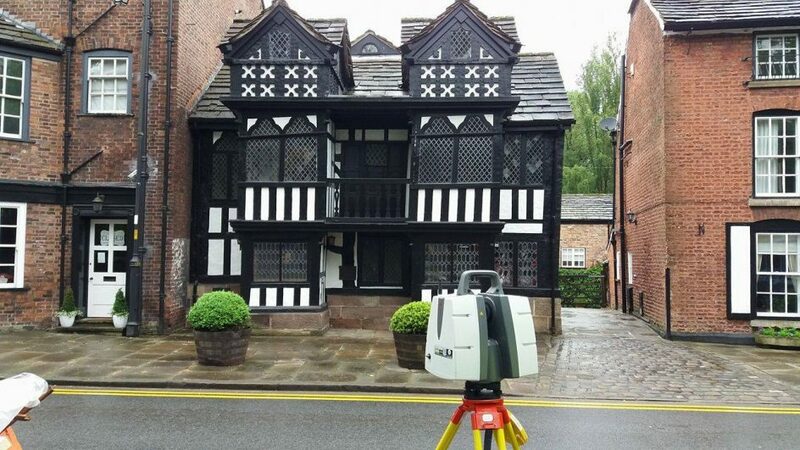 The latest laser scan technology has been used to capture the exact design and dimensions of a Grade II listed building, considered to be one of the best examples of Tudor architecture in the country. The 16th century Priest’s House, in Prestbury village, Cheshire, was once a vicarage, then cottages and more recently a bank. The village dates from Saxon times and it is thought that priests settled there making it into a fortified enclosure. Today Prestbury is part of Cheshire’s prestigious ‘Golden Triangle,’ and one of the most expensive places to live outside of London. The Priest’s House, in the heart of the village, underwent extensive alterations in the 17th century and a programme of restoration from 1968- 1970. Now a private residence, the current owners are seeking to renovate and remodel the building. Powers & Tiltman were instructed to create a 3D model from a laser scan of both the old and newer parts of the exterior of the building, as well as internal floor layouts in preparation for the planning application. It was important to establish the exact design and dimensions of the timber frame in order to maintain and preserve the integrity of the building as it currently stands. Although the building is designed almost symmetrically at the front, the timber frame is understandably imprecise. Using laser scan technology, an elevation of the building and internal floor layout was captured quickly and accurately. Scanning an historic building such as this means the black and white timber detail can be easily caught and recorded in a measurable high definition (HD) image. The point cloud file resulting from the HD scan can also be kept for historic reference when making any further changes to the listed areas of the building. 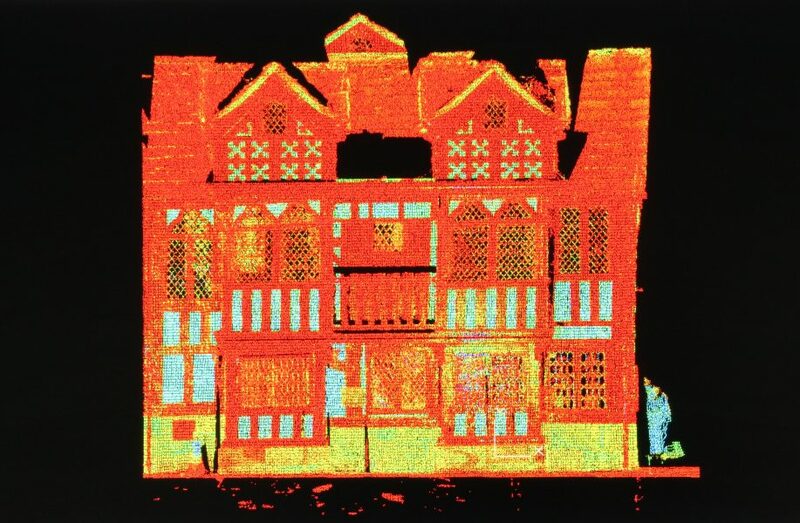 Using laser scan techniques and the accompanying software the detail was accurately captured in a fraction of the time it would take using traditional methods, thus providing significant cost savings on the project. This methodology has secured the future preservation of The Priest’s House by digitally archiving its extensive data model, but for now, the 3D information will be used to create the next phase in the building’s history.